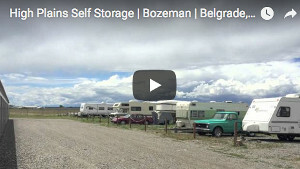 High Plains Self Storage is owner-managed. Our storage units are secured with an enclosed fence, secure gate, and monitored 24/7 by video surveillance. We have units in a variety of sizes and price ranges to fit your budget and storage needs. The storage units are clean and ready when you need them. Please call as at 406-388-3043.